🍋👯‍♀️ CITRON x Yoga. 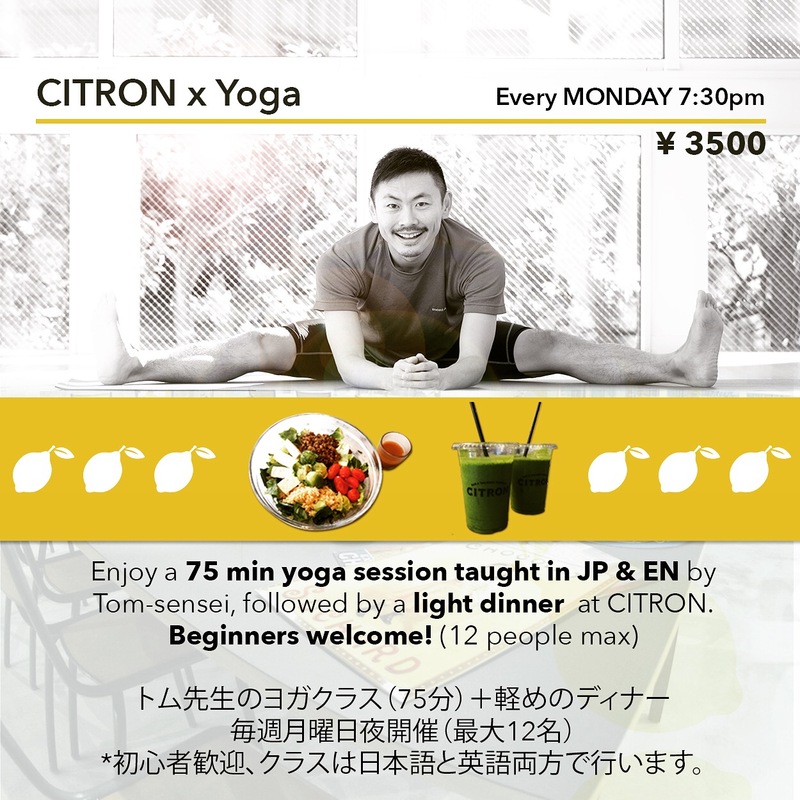 From beginning of March, on Monday evenings from 7:30pm Tom sensei will start a yoga class at CITRON followed by a light dinner! If you want to exercise more and eat healthier, this is the perfect combination!! Please register on Instagram, Facebook, by phone or email And dont hesitate to ask for more information! Namaste!